Like the word grammar itself, the grammatical term gerund is often mentioned with a shudder. If you already understand all about gerunds, this post is not for you. If you’d like to review the concept, read on. A gerund is a verbal. If you’ve read previous posts about present and past participles, you know that a verbal is one of the principal parts of the verb that retains some verb functions at the same time it is being used as a different part of speech. A gerund is an -ing verb form used as a noun. Like a verb, a gerund can take objects and be modified by adverbs and adverbial phrases, but its function in a sentence is to serve as a noun–a noun that ends in -ing. Anything a noun can do, a gerund can do–because a gerund is a noun. A gerund is a noun that ends in -ing. Gerunds may be used alone or as part of a phrase. Hester’s hobby is gardening on her rooftop. (Gardening is a gerund modified by a prepositional phrase, “on her rooftop.” The gerund phrase completes the being verb “is” and restates the subject. Thanks for capturing the essentials of gerunds. They are tricky, especially for non-native speakers. A complementary post would be the conundrum of gerunds and infinitives. Well, this is timely! I was looking just yesterday on this site to find out what the conventions are for making a gerund that’s functioning as a noun plural. Julie- not sure what you mean about making a gerund. However, “maulings” is the object of the preposition “of.” As an object, it is a noun. Notice that it is modified by the adjective “vicious.” An adjective can only modify nouns and noun phrases. Wow. Spinning is still my head. 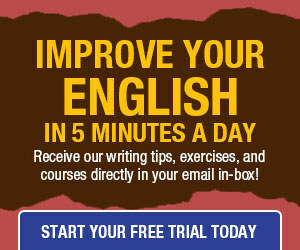 Soome of this is exactly what we “intuitive” users of English need. Many of us, even published academic writers, know “proper” language only through our own innate sense of what sounds right. We use gerunds all the time, but have no idea what the name for them would be, or, from the other direction, couldn’t tell you who Gerund was. Some are like those musicians– many of whom are great– who can’t read a note of written music and wouldn’t know a mixolydian mode from an aeolian cadence (mixolydian a la mode they might imagine half right). I can’t honestly say it’s interesting to me, really, but it is stuff we need to know and it’s simply not taught anymore to general audiences. Grammar lessons are kind of like the shots you have to get before you get to go someplace exotic. But, hey, they keep you from dying there! Many thanks, MM! Hi! This is where I always trip up… because where I hang out, almost universally -ing words are just known as participles and then someone said to me, “hey you know those are really gerunds.” And gerunds have made my life hell ever since. Your recent post on present participles and today’s on gerunds have helped… a lot… I think. In this example from the article, is “on her rooftop” an adverbial phrase? This could seem confusing as if a gerund functions as a noun, nouns are modified by adjective phrases. But then it seems to answer the question ‘where’, so I presume it’s adverbial? 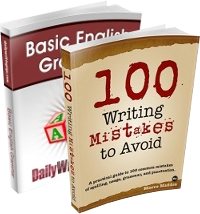 A gerund functions as a noun, but at the same time retains the nature of a verb. So yes, it can be modified by an adverbial phrase.